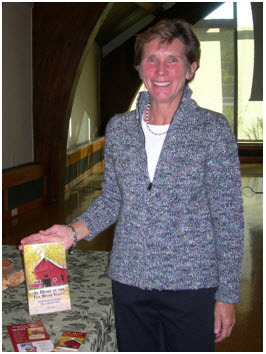 A half-day workshop with Dr. Patricia Ross of Hugo House Publishers. This workshop is designed to take you step-by-step through the publishing and marketing process. You have a manuscript, or an idea for a book, or even boatloads of paper and you just know somewhere there’s a book in all that. Do you know where to start? Or have you started, and started . . . and started because other things just kept getting in the way? Or are you frustrated but you don’t know where to turn or maybe there hasn’t been an easy place to turn to for information? Come to My Book—My Business! What to do with the book once you get it and all your family and friends have bought a copy—and yes, that includes marketing, marketing, and more marketing. Publishing a book is a process loaded with minefields. It is also a business—for there is money exchanging hands in the process, and you need to know how to keep control of that business. You will leave My Book—My Business with a plan on how to move forward in your publishing journey effectively and efficiently. Don’t let the publishing minefields explode! Find out what you need to do, when you should be doing it, and some of the better ways to go about getting it done! September 9th marked an excellent beginning of a new type of relationship between CIPA and writers groups outside the Front Range. The She Writes Steamboat writers group in Steamboat Springs is the first group to become an Affiliate Member of CIPA, a new category of membership for those who cannot easily participate in Front Range activities such as the monthly meetings. The morning started off with an informal “meet and greet” as depicted in the this photo, followed by a formal presentation about the benefits of being a CIPA member. Attendees included published authors, writers working on manuscripts, writers ready to publish, an editor, and a graduate student completing her MFA. Dr. C. Daniel Miller, CIPA President shown to the left, talking with attendees about their writing and publishing experiences. Dr. Miller later presented two CIPA College classes entitled “Comparison of Publishing Options” and “The True Costs of Independent Publishing” to the Steamboat Springs community. These same two classes will also be offered in Fort Collins on October 29th. Following this event, edited recordings of both classes will be available online. Left: Mary Kurtz, the first Affiliate member to sign up for a CIPA College class, proudly displays her new book At Home in the Elk River Valley. 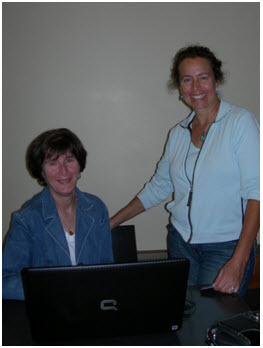 Below: Sue Leonard, founder of She Writes Steamboat, showing Stacey Kramer how to register for one of the two CIPA College classes held for the Affiliate Group on September 9th. 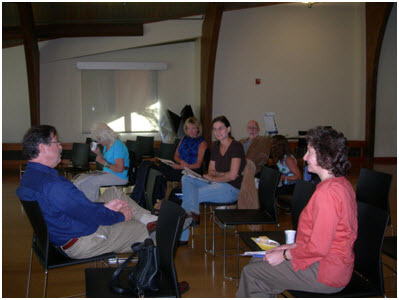 Join the Colorado Independent Publishers Association (CIPA) for the next CIPA College Day to be held March 19, 2011. Your book tour is beginning. Do you know how to package yourself and your book to get that all-important TV coverage? Learn the right way to work with the media as taught by veteran TV newsman Neal Browne at Media Coaching & Training, one of the classes offered at CIPA College on March 19. Is your website optimized to sell your book? Learn how to make your website a marketing machine in Evaluating Websites from a Marketing View, taught by branding expert Patrice Rhoades-Baum. The March 19th session of CIPA College offers something new: a morning session of FREE roundtable discussions chaired by award-winning authors and CIPA members. Aspiring authors looking for advice on publishing can talk with authors in their genre – from autobiography to inspirational, how-to books to history, children’s to adult fiction. The afternoon sessions, Media Coaching & Training and Evaluating Websites from a Marketing View,are geared to more experienced authors and independent publishers. The registration costs for these two classes are only $30 each for CIPA members and $45 for non-members. In addition to CIPA College and the EVVY Awards taking place the evening of the 19th, CIPA is also simultaneously hosting their 3rd annual Book Expo on March 18th and 19th. All three events will take place at the Red Lion Hotel at 4040 Quebec St., Denver, CO 80216. 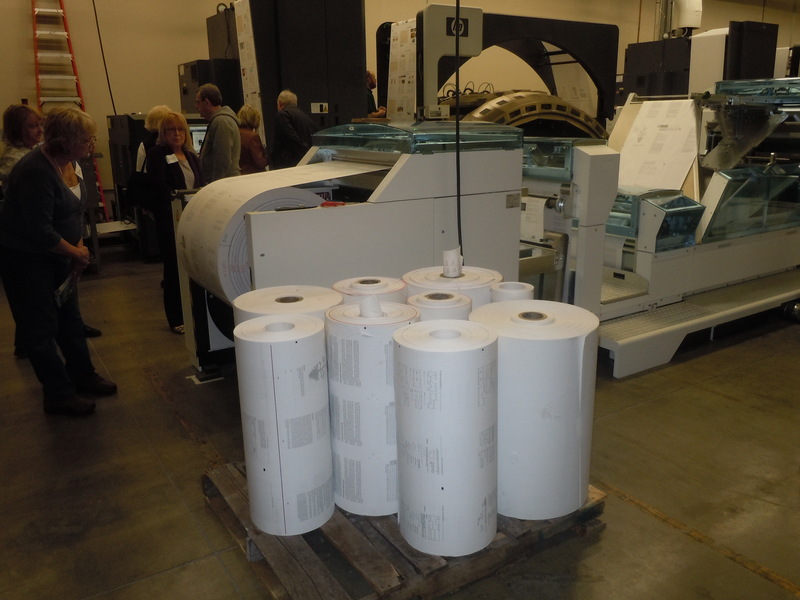 The Book Expo features a publishing trade show of printers, editors, marketing experts, graphic designers, and much more. Friday’s roundtables will feature technical experts and a manuscript pitching session for unpublished authors. “If you’ve ever wondered whether your book has what it takes to be successful, you won’t want to miss this opportunity!” says Miller. For more information on CIPA College, the EVVY Awards and the CIPA Book Expo, go to CIPA’s website at www.cipabooks.com. Please note that CIPA members receive substantial discounts for individual CIPA College classes and for the multi-class discount packages. 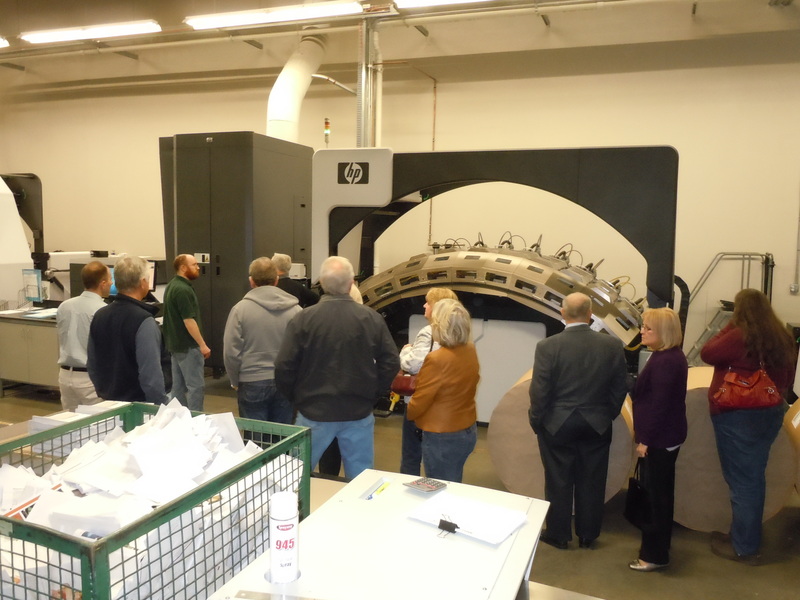 In addition, CIPA is expanding up and down the Front Range, with additional College Days scheduled for April 2 in Loveland and on May 7 in Colorado Springs. The complete schedule of classes is available at www.cipabooks.com. 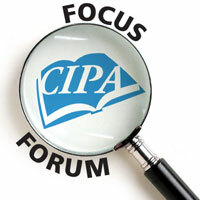 In our last four blogs we have been discussing some of the reasons why you should sign up for CIPA College offerings. We are working our way through the top 5 reasons! Today, we will talk about the fifth great reason for signing up. There is something of a revolution in publishing these days, with printed books by traditional publishers now relegated to a secondary role behind independently produced books that typically are available in e-book format as well as print form. Some books are even launched in digital formats before offering print versions. How is it possible to work smarter when so many things related to the industry are changing? One way is to invest some of your time and energy finding out what is happening and how these changes can possibly impact your venture into the world of independent publishing. CIPA College courses are presented by professionals who not only have years of experience working in the content areas they are presenting, they also are currently engaged in the very transitions that are radically changing the face of publishing as we have known it. Think of it as gaining access to change agents who are involved in all aspects of independent publishing. Let’s take Brian Schwartz as an example. 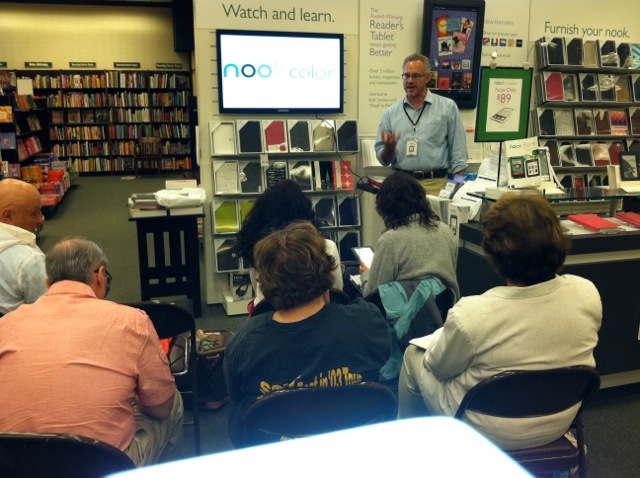 He is making two presentations related to e-books in Lone Tree on Feb. 26th. Who could be a better presenter than someone who daily converts manuscripts into e-books for presentations such as the one on the Basics of e-book devices, formats, retailers and a second one on E-book distribution systems? And how do you incorporate these new formats and delivery systems when you plan the launch of your new book? Find out what Sue Hamilton has to share during her presentation on Strategies for launching your new book. Even venture into the dizzying array of social media options with Mary Walewski with her presentation on Integrating social media into marketing. You don’t have to discover everything by yourself! Check out all the courses scheduled for Feb. 12th and 26th at two Front Range locations. Watch for other great reasons to sign up for CIPA College courses!